Disgruntled former Valve employee says hyperbole laden backtalk against it's former employer. Sounds about normal. ghostf1re, Milest, Theinsanegamer and 7 others like this. "Alternatively, Valve may start throwing its own money around to secure Steam exclusives. That could backfire, though, given the major negative public sentiment that Epic is currently dealing with." Steam already has a TON of exclusives because some developers chose Steam as their only distribution platform. And how exactly would Steam even attempt to get big-name exclusives? Their not going to offer a better revenue split on a case-by-case basis because that would be like throwing a Molotov into their business model. Everyone else would demand the same deal or they would pull their stuff from Steam en masse. Valve's only option is to reduce their take to 20% or less, and that would probably be enough to halt Epic's developer-rustling rampage. ghostf1re, Lew Zealand, MaitieS and 4 others like this. I do not buy that Steam is/was "killing PC gaming." In fact I think crappy portals, exclusives, and fragmented player bases are more likely to do that. As crappy as some of those portals are now, imagine how much worse they're going to be when they're all forced to compete on razor thin margins. Maybe it'll be like the old days where when its time to download you'll be taken to a waiting list page with an option to spend more to get a premium download pass. Devs may get a higher percentage of the cut by ruining that "it just works" experience, but in the end I believe they're going to find there's less pie to divvy up to begin with. I've already ignored games I otherwise would have bought over not liking the portal choice offered and I expect that to continue. I also think players will get turned off as they start to run into more problems with longer startups to get through five portals, can't remember which game is on which portal, friend they want to play with is on a different portal, etc etc. Companies can't win on their own while making their overall industry less attractive and appealing. ghostf1re, Theinsanegamer, astralcyborg and 3 others like this. I think its about time somebody did this to Valve. They were a monopoly and seeing a 30% charge to distribute a game online is insane! What happened to "it'll be cheaper to buy games online because there's no shipping or physical discs!" those savings never got passed on to consumers and just went into Valve's pockets. Maybe some competition is indeed needed. astralcyborg, TempleOrion, Lew Zealand and 7 others like this. As to a potential next step, you're dreaming if you think consumers will get any cash back this time either. Launch day full price will remain at $60, while the game content actually delivered will get more and more hollowed out pending additional spending on DLC and micro-transaction. The only difference is the service you're getting from these other portals is likely to be less useful to you than Valve's was. Theinsanegamer, Capaill, Misagt and 2 others like this. Eliminate steam and other platforms that don't allow you to resell used PC games. MaitieS, jakethehuman, loki1944 and 2 others like this. Exclusivity hurts gaming and this goes way before Steam and Epic. People love and want options. Forcing them to one platform is stupid and it shows that these guys don't really care about us, the consumers. Morris Minor, Theinsanegamer, kenc1101 and 5 others like this. Morris Minor, Theinsanegamer, TempleOrion and 2 others like this. I don't understand why people bombard Epic and bombarding it in Steam. Epic is doing something useful for the developers. 30% cut of all sales is enormous. Making a game and see the publisher eating up one third of the profit is disheartening. Makes creating new game less enthusiastic. I believe most of these Steam users are new generation kids who never knew when CDs and DVDs were the only media available to self-install and keep them updated manually. Steam has made things too easy for these kids. When Epic has sales, then it's worth to buy from it. I neither hate Steam nor love it (I just purchase and use from Steam when the sales reach 75% and above) , and I too am sick of so many launchers nowadays... Uplay, EA's Origin, etc... but unfortunately, this is how the gamers themselves are responsible for moulding the current gaming trend.... and this is how we have to deal with future purchases. People wanted 4K graphics and textures and this has made physical media almost impossible to cope up, and digital-only versions are the only viable option. Fortunately, I can still enjoy my DOS snd Win9x games and don't need to depend on all these latest games with eye-candy but with recycled, boring gameplay. TempleOrion, MaitieS, jakethehuman and 3 others like this. It's not competition if one store is paying game devs to go exclusive. In a free market, customers choose where to buy a product. In this case EPIC isn't allowing that. If EPIC were truly doing something for the gaming community they wouldn't need to buy exclusives, their store should stand on it's own merits alone. Otherwise they aren't competing, they are telling customers "You HAVE to buy from us". It shouldn't be surprising that PC Gamers are mad. EPIC is taking the most open platform and turning it into a console experience. Morris Minor, Theinsanegamer, brucek and 1 other person like this. Epic is justified, in my opinion, to get exclusives. Why? Because Steam has become defacto place to get games from. To break that kind of monopoly you need incentives to make customers move. Uber did it (despite being cheaper) with Taxi services (the defacto option at that time) and people frowned and whined. Now look where Uber is and where local taxi drivers are. What prople don't realize is that these billion dollar businesses fighting is whats good for us. I sincerely hope that some even bigger third player will enter market and cause further disruptions. Hey Sony, how about your own store with only 10% cut and which has all the Playstation exclusives for PC. Bottomlines is Who Cares as long as we get more games at lower prices. Never be a fanboy. Brand loyalty is glorified corporate slavery. Digitalzone, TempleOrion, pit1209 and 4 others like this. Talk to me when games on another platform are cheaper by default, until then I don't really care tbh. You're only looking at competition for the customer. There is also competition for the game developer on who they want to sell their product to. Steam now has to compete with Epic's store to get games to sell so can either offer a better service (which I believe that they do) or better prices (which they don't) and it would be up to game makers to choose what is the best option for them. jakethehuman and dangh like this. What prople don't realize is that these billion dollar businesses fighting is whats good for us. Epic has so far eliminated my ability to choose my desired portal; delivered an inferior portal that fragments my experience, adds complexity, and consumes additional resources; and not reduced the prices I pay. So how is this in any way comparable to Uber delivering a new and better experience compared to the previous system, and/or regular competition in which stores offer an *additional* place to shop with maybe lower prices or other additional benefits? In my opinion your claim that this is good for us is not backed up by any actual benefit received. In fact my experience is the reverse. "Epic's allegedly anti-consumer business practices" - Why allegedly? It's 100% anti-consumer. Hell, most of the games I own in my Steam library are actually bough on other stores and I have hundreds of games. 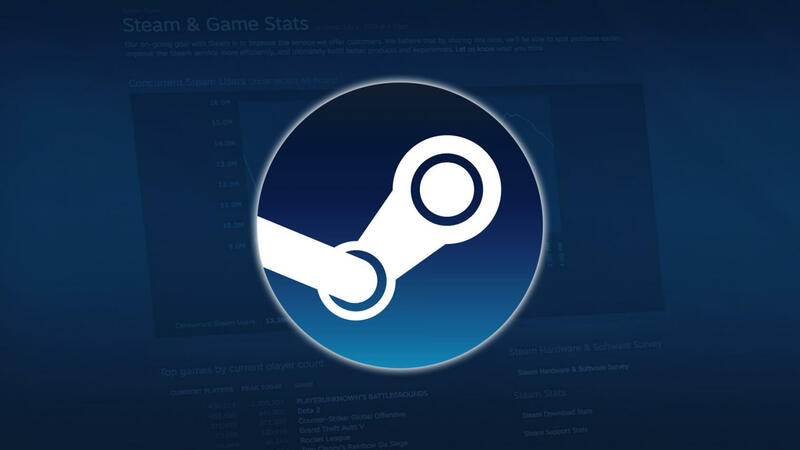 Physical discs were replaced by back end infrastructure and networks needed to provide storage and access to all the software and features of Steam. Add to that the development and maintenance of the Steam client. None of this is cheap. Still, with all of this I have managed to build and extensive library of games that I get at 50-90% off by waiting for Steam sales. No company is perfect but I am happy with Steam. Morris Minor, m4a4 and brucek like this. Digitalzone, loki1944 and BSim500 like this. Not entirely true. By having games exclusivly on Epic, it's on Steam to do something (improve) about it to refrain others from doing the same. It's probably not gonna happen yet cause Epic is still not a big threat to Steam. Epic is also helping them by being "the bad guy" in the eyes of the public. And you are correct not to do so, because AFAIK Steam has never paid any developer to not list on any other portal. They've merely provided the best service in town for most players. Even for companies that want to host on Steam, they still allow many different retailers to sell those Steam keys. If Epic wants to bring *choice* to the table, by offering a second storefront allowing players to choose between Steam and Epic, I'm fine with that. But as long as they are removing choice they should expect player anger. Morris Minor, Theinsanegamer, Capaill and 1 other person like this. 30% is a lot, times move, times change, industry has to adapt and so do people. I love Steam, I love Valve but there is a line. This line is crossed and is now taking the piss. misor, Digitalzone and TempleOrion like this. 30% cut is not hyperbole. What Epic is doing is fantastic. Steam have needed some kind of a kick up the bum for a while. Their complacency drove this. No, I do not want games to be exclusive forever but you think anyone is going to use EGS if they have the choice of steam as well? No, of course not. This forces the issue and allows EGS to get some traction so we can finally get some bloody competition for steam. It will work out better for developers and consumers. This is just the usual brand loyalty crap that has people crowing away as if the world of gaming is about to collapse. H3llion, TempleOrion, Eldritch and 2 others like this. "Epic is justified, in my opinion, to get exclusives. Why? Because Steam has become defacto place to get games from. To break that kind of monopoly you need incentives to make customers move." ^ Precisely. "OMG. The X Files is on Amazon Prime and not Netflix. That's not real competition! No Netflix, no buy! ", etc. Of course 3rd party exclusives are valid competition even within the same platform. Industry fragmentation may not be desirable but PC gamers have to the most stunningly naive people on the planet to believe that Steam should remain exempt for the next 10,000 years vs the same thing that's happening literally everywhere (consoles, video streaming, game streaming, music streaming, etc) and that competition 'must' only be on price & features not actual selection. Do people also expect Google's Stadia (vs future competing game streaming platforms) to never have exclusives? 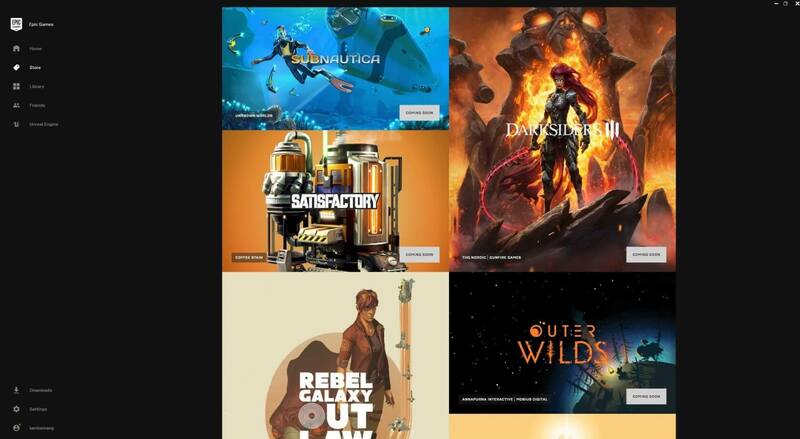 For uPlay, Origin, to give up on exclusives? It's the natural and obvious side-effect of locking games to store-fronts that Valve themselves ironically started back in 2004. Digitalzone, TempleOrion and Eldritch like this.